Enriched with guarana, green tea and maté, our BUM BUM cream is an anti-cellulite treatment. It contains elastin for a firmer, visibly smoother-looking derrière. 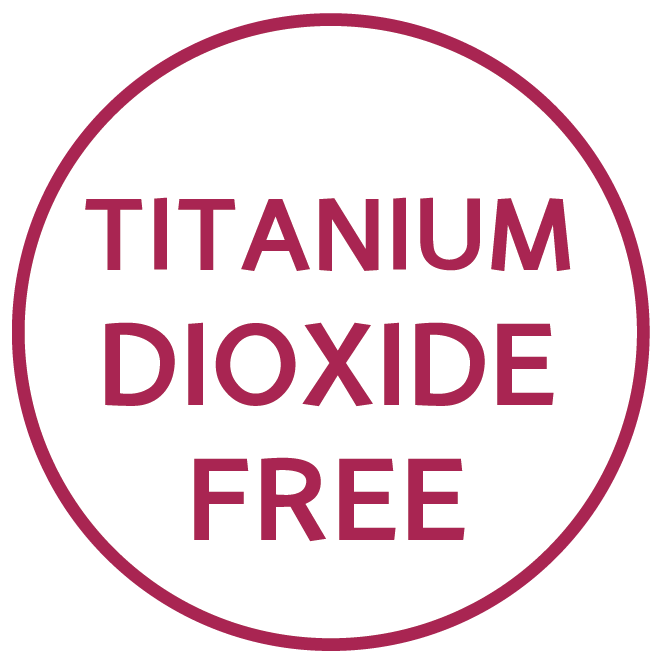 It also contains LipOutTM, an active ingredient based on seaweed, with proven efficacy *. Up to -50% fat layer thickness at the buttocks! Thin and luscious at the same time, Brazilian women are known for their dreamy silhouette and their firm and bouncy bum bum. With a year-round sunshine that rhymes with bikini, body worship is part of their lifestyle. 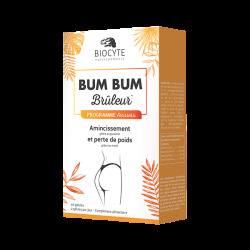 To have their beautiful bum bum the Brazilian women have their tips... Biocyte was inspired by their secrets to develop the Bum Bum range and its Bottom programme. This one helps you fight against loosening of the tissues, to make your buttocks firmer and erase cellulite. This cream for the buttocks contains mate. The mate (or Yerba mate) tree is found in South America. The consumption of its infused leaves is very widespread among local people, who use it as an energy-stimulating drink. In Latin America, dried mate leaves are traditionally drunk in a small calabash with a specific straw to filter dried leaves. Guarana seed is naturally rich in caffeine, which is a stimulating and energizing active ingredient. By increasing the metabolism, Guarana promotes the expenditure of calories and therefore, slimming. Guarana is particularly popular among athletes. Elastin is naturally present in cutaneous tissues. It gives the skin its suppleness and elasticity. This protein, however, tends to decrease with age. Indeed, from 30 years the body does not produce more and the skin loses its elasticity over time. How to access the Bum Bum exercises offered? Each product contains a code that entitles you to 1 month of free subscription to the FITNESS CINEMA video platform. For the purchase of a Bum Bum pack, you benefit from 3 months of FREE subscription. Simply log on planet-fitness.com/fitnesscinema. For effective anti-cellulite action, you can opt for the Bum Bum Range Pack. It is offered at a price of € 58 instead of € 77 for the unit purchase of each product in the range. It contains a Bum Bum Cream, a Bum Bum Burner and a Bum Bum Slimming. 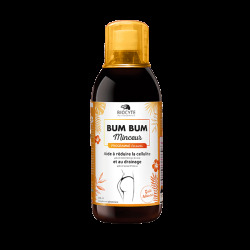 Bum Bum Burner helps firm up the the buttock muscles and act on weight loss. It contains mate and Brazilian guarana, green coffee and pineapple. Bum Bum Slimming is a draining formula that helps reduce cellulite. Drainage is involved in the fight against water retention. This phenomenon is the source of what is called aqueous cellulite. This appears when excess water is trapped in the adipose tissue under the skin. This product is based on mate, hibiscus and grape marc. Do you really know what cellulite is? Cellulite is a mass of fat cells, or adipocytes, that stores fat massively and multiplies. The increase in the volume or the number of adipocytes compresses the skin, it loses its elasticity showing an "orange peel" appearance. Cellulite is aggravated by hormones, a bad diet or disorders of the blood and lymphatic circulation. The lymph, compressed by the adipocytes, can not anymore ensure the elimination functions resulting in an accumulation of toxins and water under the skin. This creates a local inflammation that amplifies the swelling and the "orange peel" effect. "I use this brazilian bum bum cream for my buttocks, can I also use it on other parts of the body such as thighs or arms?" Absolutely. The efficacy study conducted on the LipOutTM showed a reduction of the fat layer, up to 5.7 cm on the perimeter of the thighs and up to 5.5 cm on the perimeter of the hips. "I am a man, can I use Brazilian Bum Bum cream on belly cellulite?" The efficacy study conducted on the LipOutTM reported up to -68% fat layer thickness in the belly in humans. So you can totally use this product on this part of the body. "I wish to have quick results on cellulite, how to do it?" The LipOutTM gives visible results from 28 days. However, slimming products are much more effective when they are associated with a regular sports activity and a healthy lifestyle. That's why we offer you with our Planet Fitness, partner physical exercises that will allow you to strengthen not only your bum but also, your whole body. "How can you make sure that this product smoothes, firms and reduces cellulite?" Its effectiveness has been proven by a *clinical study conducted on LipOutTM. These are tests of use, carried out under dermatological control. The study relied on 61 male and female volunteers, between 18 and 60 years of age (with a BMI **> 23 for women and> 25 for men). The cream was applied twice a day for 56 days. ** BMI = Body Mass Index. - Smoothes, firms and reduces cellulite (thanks to LipOutTM). Apply 1 to 2 hazelnuts depending on the area to be treated, morning and evening. To penetrate by light circular massages then to massage while exerting a pressure from bottom to top. Use for 2 months minimum. Can be used all year. External application. Do not ingest. In case of contact with eyes, rinse immediately. Do not leave within the reach of children. Any other use than intended is misuse. Not recommended for pregnant and lactating women. Reserved for adults. Avoid sun exposure after application.